At this stage, it is too early to tell people to avoid fatty foods, cautions Lengyel — especially people with cancer who may need a high-energy diet. “That’s a very dangerous message,” he says. The report concluded with a “call to action” that includes urging the Food and Drug Administration to put previously approved regulations into effect. The agency in May passed final rules governing e-cigarettes, but many of them will take several years to take full effect. September was Prostate and Thyroid Cancer Awareness Month, October was Breast Cancer Awareness Month, and November was Lung Cancer Awareness Month. We should designate December as Cancer Overdiagnosis Awareness month, because a lot of cancers diagnosed by screening tests will never kill you. People said their preferred method of finding out their skin biopsy results largely relies on the amount of information the clinician needs to relay and the amount of time it takes to receive the results, researchers report in JAMA Dermatology. Researcher Pandolfi outlines promising paths for cures, including targeted therapy, RNA medicine, and immune therapy. In attempting to develop more effective approaches to targeting RAS, Rosenberg’s team isolated tumor infiltrating lymphocytes (TILs) that targeted the KRAS G12D mutation from tumor nodules in the patient’s lungs that developed after colorectal cancer cells had spread to the lungs. TILs are white blood cells that migrate from the bloodstream into a tumor. The isolated TILs were grown in the laboratory to large numbers and then infused into the patient intravenously. Dr. June said the research was the first successful targeting of a defect in a gene called KRAS, and is important because mutations in the gene are so common. Usman ‘Oz’ Azam has taken the helm of Tmunity Therapeutics in Philadelphia, which was founded by one of Penn’s star scientists, Carl June, with an eye to developing new, curative cell therapies. It launched in January with $10 million in backing from Penn Medicine, the academic medical center of the University of Pennsylvania, and Lilly Asia Ventures. Out of 17 patients with an average age of 63 who received the vaccine, 12 are still in remission four years or more after receiving the vaccine, Avigan and his co-authors at the Dana-Farber Cancer Institute report. The median PFS was 3.3 month in cohort 2 of patients with high PD-L1, 1.9 month in same cohort but in patients with low/negative PD-L1. It was 2.4 month in cohort 3. Rather than a symptom of general played-outness, seeing big drug companies doing deals with smaller outfits is a sign that everything is working as it should. We should panic if that stops. The drug tucatinib — formerly known as ONT-380 in the pre-makeover days — is a HER2 inhibitor that has been matched up with Herceptin and Xeloda in combatting treatment-resistant breast cancer. It’s a pill, intended to get through the blood-brain barrier to help some desperately ill patients. O’Neill has proposed that the FDA only require companies to prove drugs are safe before they are sold – not that they actually work. O’Neill has also said that organ donors should be allowed to be paid. As a result, instead of assuring patients an independent voice at the FDA, the meetings with so-called patient and consumer advocacy groups might have given the pharmaceutical lobby additional avenues for promoting its agenda. "If the drug companies think that they're going to continue to have free rein to set and raise drug prices because of Trump, I think they're deluding themselves," said Erik Gordon, professor at the University of Michigan Ross School of Business. "Nobody who voted for him is in favor of high drug prices." Analysis Also Demonstrated Intracranial Median Progression-Free Survival (PFS) of 18.4 Months. In the study, 97 were randomized to veliparib plus carboplatin and paclitaxel, 99 to placebo plus carboplatin and paclitaxel, and 94 to veliparib plus chemo med temozolomide. Today’s read-out is from the findings from the carboplatin and paclitaxel with veliparib or placebo arms. The PARP race has been attracting considerable attention this year, especially after Pfizer stepped in to buy Medivation and its late-stage PARP in a $14 billion deal. Just weeks ago AstraZeneca whet investors appetites when it said its Phase III study has produced solid supporting data. Tesaro and Clovis, meanwhile, are also racing for an approval. The overall response rate for the veliparib arm was 77.8 percent compared with 61.3 percent for the placebo arm. The improvement in progression-free survival in the veliparib arm (14.1 months versus 12.3 months) was not statistically significant. The trend to improved overall survival was also not statistically significant (28.3 months versus 25.9 months). Extended letrozole therapy did not improve OS. However, a statistically significant improvement in BCFI was noted, with a 29 percent reduction in the risk of breast cancer recurrence or cancer in the opposite breast as a first event. Additionally, a 28 percent statistically significant reduction in the cumulative risk of DR was observed. Analysis conducted after 98 patients had disease progression showed that median progression-free survival was 10.4 months among patients assigned everolimus, compared with 5.1 months among those assigned placebo. In contrast to the published studies of primary, treatment-naïve breast tumors, this research focuses on metastatic tumor samples from patients with resistant disease, explained lead author of the study Ofir Cohen, PhD, a postdoctoral researcher and computational biologist at the Broad Institute and DFCI. 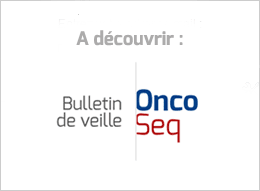 “We found that for patients with no proof of cancer in the axillary lymph nodes before neoadjuvant chemotherapy, SLNB during the surgery after neoadjuvant chemotherapy was safe because those who had a negative SNLB and did not have an ALND had a very low risk of an axillary relapse at three years after surgery,” continued Classe, who is also professor of oncology at the Medical University in Nantes. KTE-C19 will likely play an important role in the future treatment of DLBCL and other aggressive NHL subtypes. We advise people working in health and social care to make sure mothers and fathers, brothers and sisters, get the practical and emotional support they need to care for a family member at the end of life. Where is the research on what cancer patients see as significant risk? None of the existing quality-of-life tools are adequate – apart from anything else they measure a researcher’s view of the criteria that matter, not a patient view. "The only good news we see in 2015 was that the cancer death rate continued to decrease," said Jiaquan Xu. NHS England’s chief executive, Simon Stevens, has announced the first hospitals to benefit from the major national investment in radiotherapy machines, alongside £200m of funding over two years. Critics note that the money described in the bill must be appropriated by separate funding bills and that the money may ultimately never materialize. Yet the changes to the clinical trial process, something long sought by the drug industry, will be set in stone regardless of whether money for the research projects is forthcoming. Thankfully, due to breakthroughs in precision medicine and renewed federal commitment to cancer research, most patients with cancer have better treatment outcomes than ever before. Today’s passage of the 21st Century Cures Act will help us continue this momentum and build on this incredible scientific progress to offer all patients hope and better treatment options. Expect more Vioxx disasters, now that the 21st Century Cures Act threatens to turn the FDA into a puppet of the pharmaceutical and medical device industry. Also expect pharmaceutical company profits to soar. I hope ASCO and the other medical groups that pushed for this bill think it was worth it. Initiatives such as CancerLinQ address the urgent need to break down barriers that impede progress in our fight against cancer. By analyzing patient medical records and using in-memory computing technology to uncover trends among millions of cancer patients—and sharing that knowledge—we can enable more data-driven decision-making.